Hi friends! 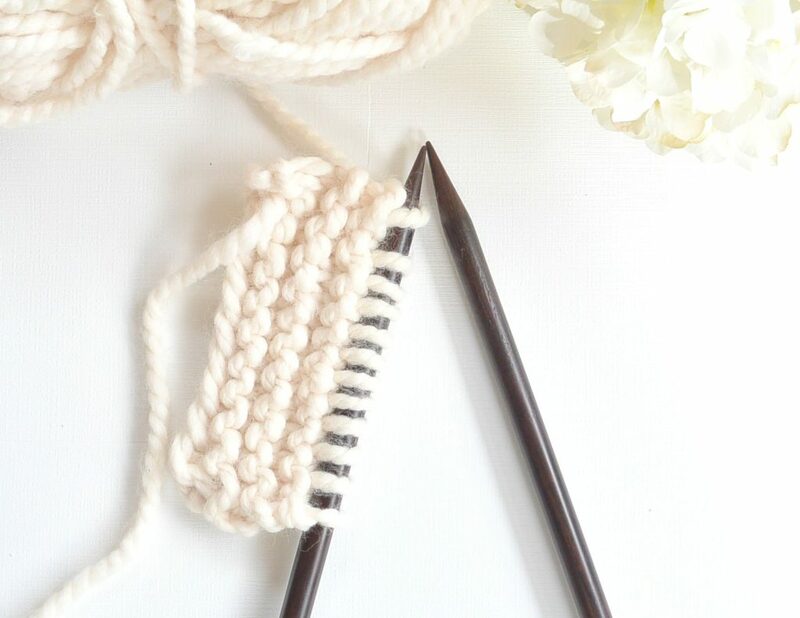 Since I share both knitting and crochet patterns here on the blog, I have a lot of requests to teach folks how to knit (or crochet). Inevitably, when I post a crochet project, I have requests for a knit version and vice versa. I love it – so much yarn creativity out there! 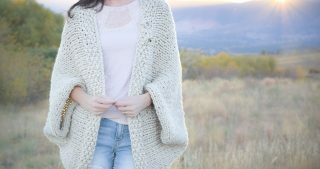 Today I thought I’d share a quick video on the way that I knit. 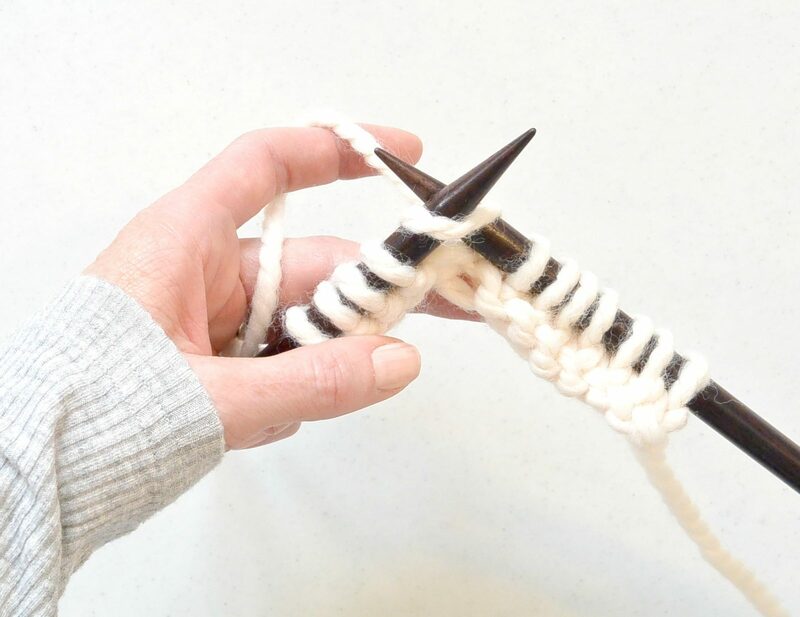 There are many ways that people like to knit, but this version is easiest for me and I believe it’s the easiest version for crocheters to learn. The style that I use is called “Continental Knitting”. The manner in which you hold the yarn is very similar to the way you might hold it for crochet, so for me, it was easier to learn and made more sense than English style. I don’t think one is any better than the other. 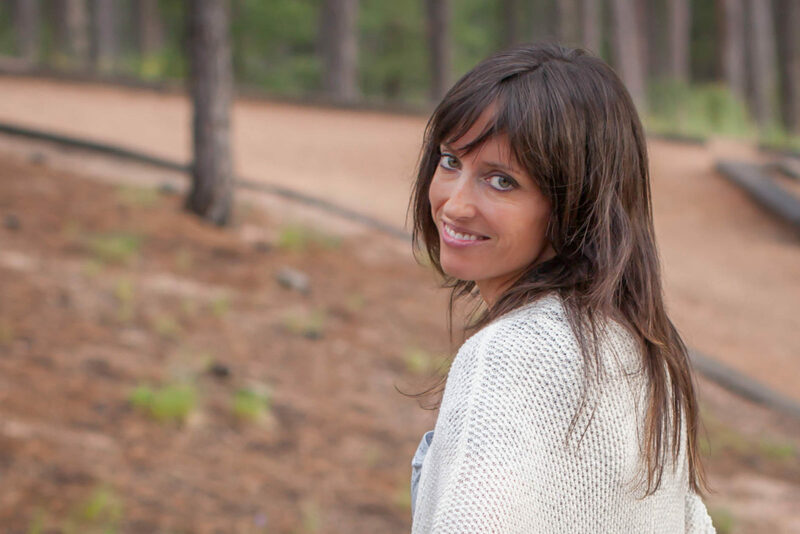 I truly believe that you should do what works for YOU. Maybe you’ll despise the way that I do it, and that’s fine! Search around YouTube and see what clicks for you. Continental style “clicked” for me, so that is what I’m showing you today. See how I’m holding the yarn much like you might hold it for crochet? I learned to knit from YouTube videos. Funny story – first I tried to learn to knit from a book. If you learned from a book, I want to tell you that I believe that you’re a straight-up genius! It was impossible for me to figure out how to do it without seeing it done with my own eyes. YouTube was great because I could watch a zillion different videos and find one that worked for me. In fact, after trying to learn from the book, I almost gave up on yarn crafts completely. Before I gave up, I stumbled upon a “How To Crochet” video and learned crochet. It honestly had not crossed my mind to look to YouTube in order to learn to knit. It was like a whole new world to me! That’s all there is to it! As with any new skill, it takes some practice. You’ll find that just as with crochet, you have to practice getting the right tension for each stitch. 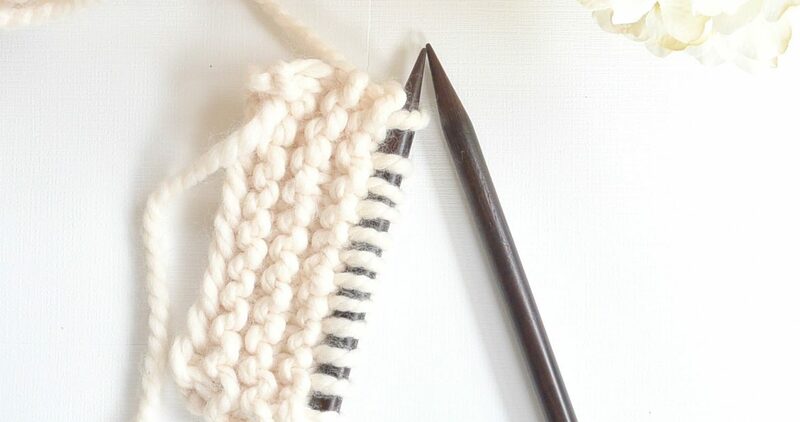 Today, I’ve just showed you the knit stitch but soon you’ll learn to purl! 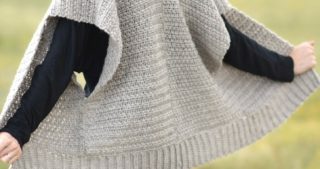 Then you’ll be able to make stockinette stitch which is that beautiful flat fabric that you see on most sweaters. Are you a knitter? What advice would you give to someone who is just learning? Please feel free to share your thoughts in the comments below! Happy knitting and crocheting to you! You are so right! I have been crocheting since I was 10 and always found knitting so awkward- all that moving of the hands and yarn. 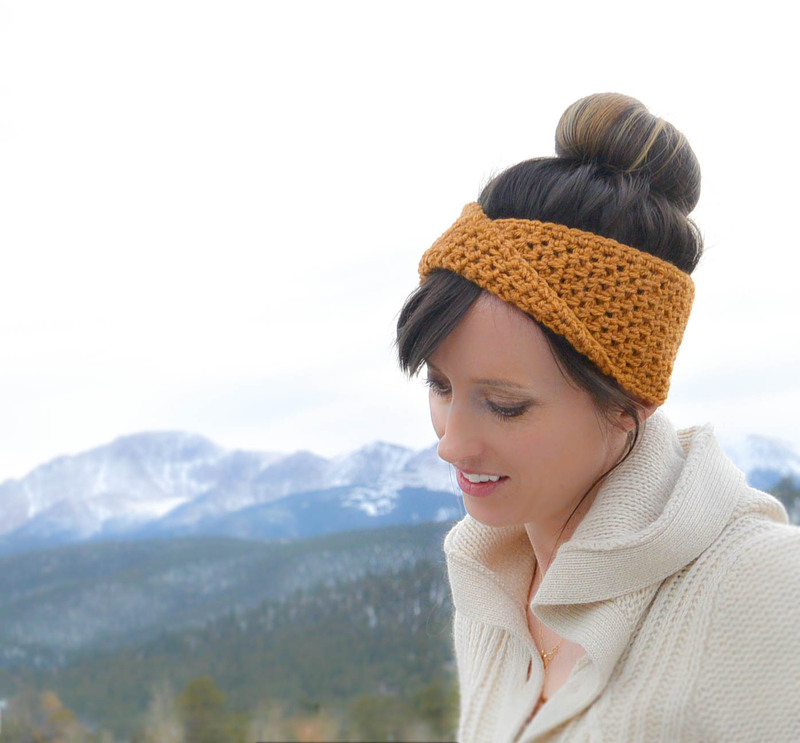 Once I tried continental style it was so similar to crochet that I had no problems! Often wondered if other crocheters felt the same. Yes! I struggled to learn how to knit English style and gave up so many times. I finally stumbled upon continental knitting and it finally all made sense! I learned as a child the continental style of knitting. I now do really intricate Irish knit designs. When I am not sure of how to do a stitch “my way”, I simply do the stitch using the English method to see what it should look like, then put the thread back on my left hand and develop the stitch to look the same. Most instructions are written for the English method, but it is really simple to change it to Continental. Good luck. I learned the English method from my mother, but always preferred crochet until I stumbled across Continental. I agree that the other methods seem to be a waste of movement and more difficult than necessary. I have a few sites bookmarked to help me transition some fancier stitches from english to Continental, but sadly, for some like the bee stitch, I cannot seem to make the transition. Have you ever thought about posting a conversion chart? To me, that would be gold! I enjoy your website so much. Just been wondering if you could give a lesson on the sequin stitch. The only video I have found is in Spanish which I can’t speak. This st itch is similar to the crocodile stitch. Thank you . I’m also a crocheter and have found learning to knit cumbersome, to say the least. Can’t wait to try your Continental way. Thank you so much!! I didn’t know there was another way. I would also love some baby patterns, if you have any. Thanks. This is how I began knitting, too! 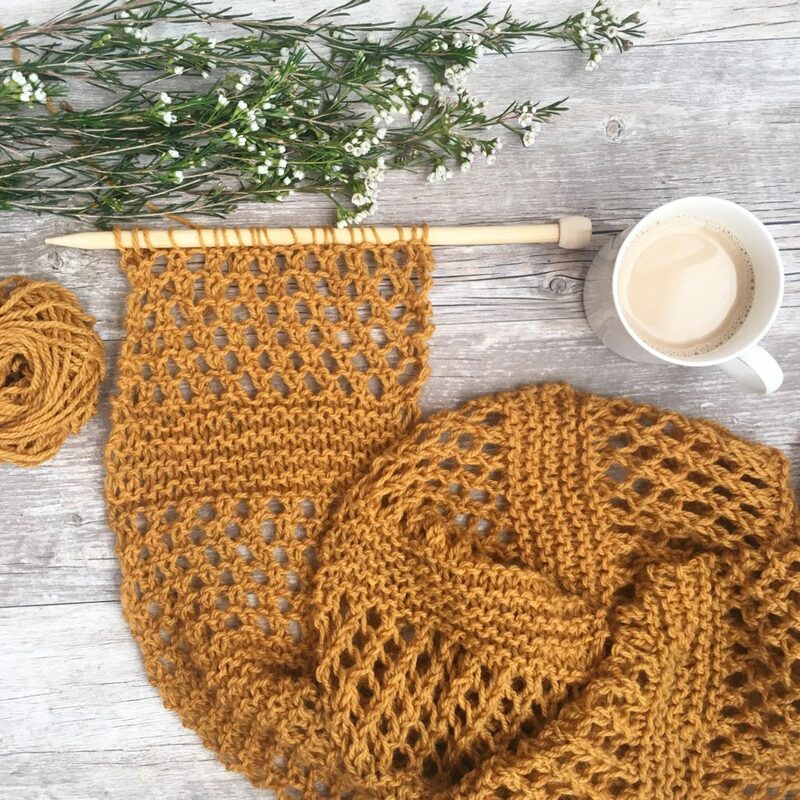 I always admired the look of knitted items but I’ve been crocheting since I was a little girl, it seemed like such a tedious craft, moving yarn each stitch, etc. 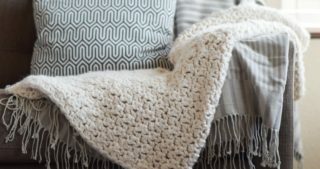 When I was looking for a knitting tutorial on youtube as a last ditch effort to give knitting a try, I discovered Continental Knitting and haven’t looked back! I visited a local yarn store for a little sit-in time where you could work on projects and ask questions. As I was knitting a purse that would be felted, the owner came over to see what I was doing. She asked about the method and was really interested in learning to knit that way. I think I introduced a trend! For me, it’s the other way around. I have been knitting for 15 years and O finally discovered crochet some time ago (better late than never…). I learned knitting as a little girl and have never thaught about it being english or continental, I hold my needles in a very strange way so I think I’m doing something in between. Being lefthanded I found it very hard to understand how to hold my yarn (youtube is definitely a great source of help but there is not always a lefthanded version of what I am looking for). I will definitely try your way of knitting, I think it will help me with holding my yarn when I crochet!